I GIVE YOU THE 1ST INAUGURAL MOUNTAINEER BAD BEARD-OFF FOR CLEAN WATER SUGARLESS GUMMI BEAR EAT-OFF! FOR EVERY 5 DOLLARS YOU DONATE TO HELP PROVIDE CLEAN DRINKING AND BATHING WATER FOR THE PEOPLE OF WEST VIRGINIA, I WILL EAT ONE SUGARLESS HARIBO GUMMI BEAR, UP TO 200 GUMMI BEARS. 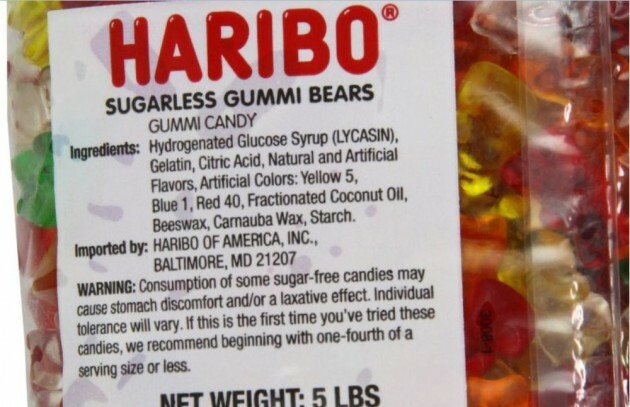 THIS MAY SOUND LIKE A LOT OF MONEY PER BEAR, BUT IF THE AMAZON REVIEWS ARE ANY INDICATION (http://slightlyviral.com/beware-sugarless-gummy-bears-on-amazon-com/), JUST 20 OF THESE LITTLE BASTARDS CAN MAKE YOUR COLON EXPLODE. SO GO TO THE DONATION WEBSITE (http://www.indiegogo.com/projects/the-1st-inaugural-mountaineer-bad-beard-off-for-clean-water/x/6139230) AND KNOW THAT EVEN A DONATION OF 5 MEASLY DOLLARS COULD RESULT IN UNPARALLELED GASTROINTESTINAL INTERNET HILARITY.